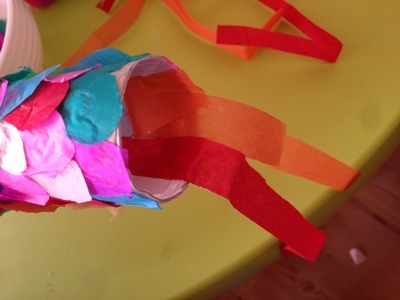 Little children will love making this colourful craft. Parent supervision is needed in the preparation, but for the gluing, kids will enjoy getting carried away with all the different colours. Koinobori means carp streamer in Japanese where these colourful creations are hung in the wind to celebrate children's day. Whilst this little craft likely isn't up to blowing in the wind, it still makes a very pretty and decorative craft for the home. Time: 15 minutes actual craft time, and about 10 minutes preparation. 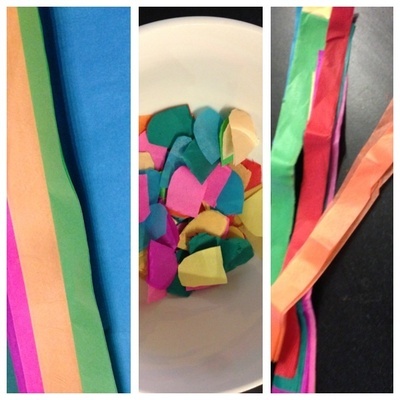 Parents need to cut the tissue paper into small circles or semi circles. If you have a large circle craft punch, then this is ideal. I just bunched several layers of tissue paper together and cut out rough circle shapes. 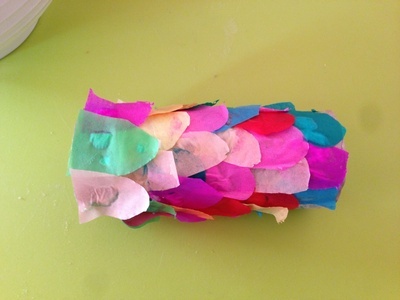 Also cut about 8 strips of tissue paper which you will use at the end of the craft. This will take about 5 minutes. 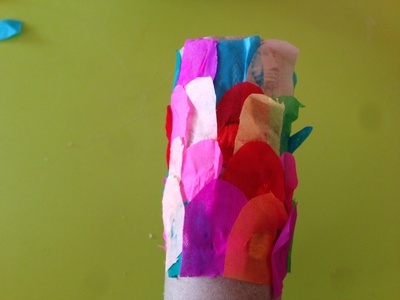 Take the toilet roll and put a line of glue near one end of the roll. Cover the glue with a line of tissue paper circles. Repeat this process until the whole roll is covered. You should aim to overlap the tissue shapes to provide a look of fish scales. Once you have finished the body of the fish, then it's time to add some pretty streamers to the end of the body. 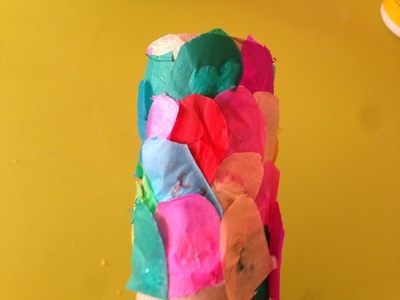 You can do this by putting some glue inside the roll and then sticking the strips of tissue to the glue. 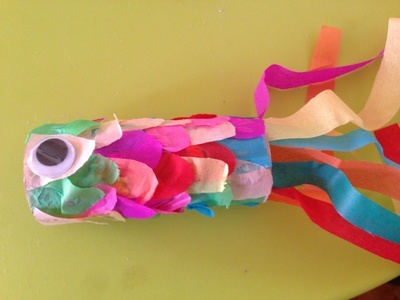 Add a goggly eye to the front of the fish. You could easily leave your pretty fish like this, but it is also a great idea to add some strip to the top of the fish so that you can hang it. To do this cut a length of string and sellotape to the inside of the roll (the opposite end to where you have placed the strips of tissue. 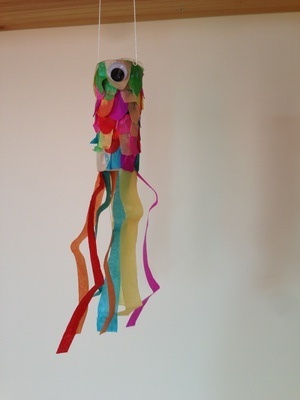 Your koinobori is ready to hang.